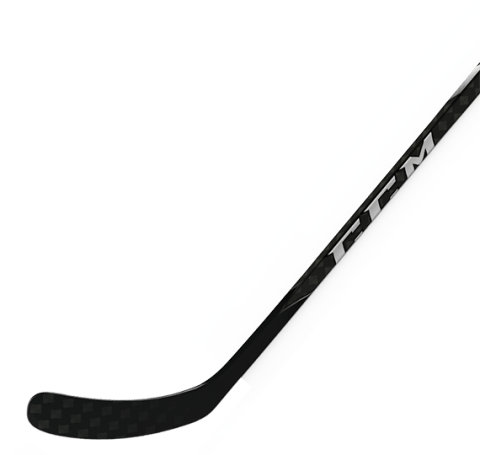 CCM Ribcor Pro PMT Intermediate Hockey Stick | Sports Etc. KICK POINT: Low Kick Point: Easy to load for a quick and surprising release. FLEX RATIO: Flex Ratio of 1 to 1.85: Optimized vertical flex profile allows player to move the puck into shooting position with greater ease before exploding on the release. CONSTRUCTION: PopMatrix Technology with Re-engineered Taper: The new geometry offers a smooth transition area to maximize bending and efficiently transfer the energy stored. BLADE: Ascent Blade: Optimized stiffness profile that goes from softer in the heel to extra stiff at the toe for a great combination of feel and quick release. MATERIAL: C6 Weave on Shaft and Blade: Provides great all around stiffness and strength for added durability on the shaft and blade. Sports Etc Performance To Value Rating– 9 out of 10- Perfect for any experienced player looking for a competitive advantage. One of the better value sticks on the market. High technology at an affordable price point.